Various universities in Manila offer the best of the best in educational materials and the means to access and practice it. The experiences you will encounter in and out of the classroom are ones that will surely shape you as an individual. It is a great time to be a student except for one thing, the budget. 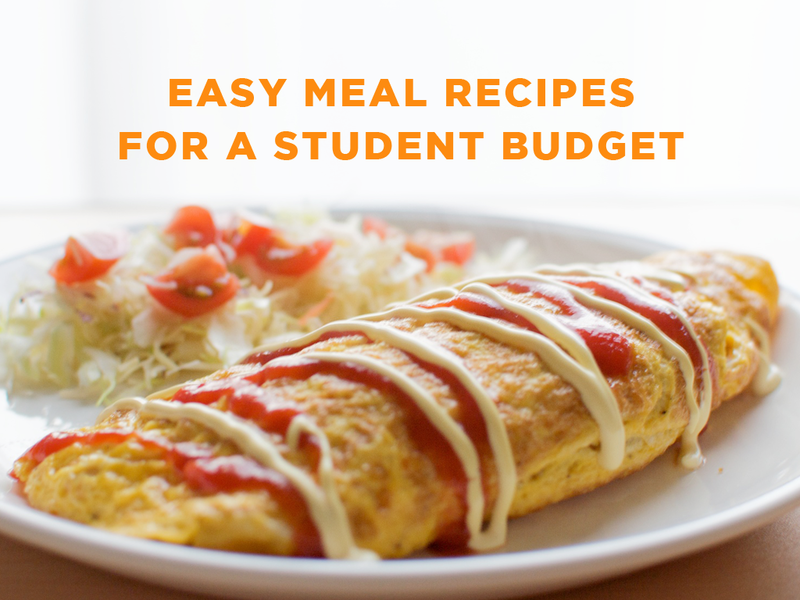 Being a student means you’re living on a student’s budget, you cannot always indulge in your favorite foods and end up settling for the next best thing. With these recipes you don’t have to live on instant noodles or budget meals that don’t fill you. This is a simple recipe that makes use of what you probably already have in the kitchen. Basically this is a mixed rice recipe that will definitely fit any meal or occasion for any student. Feel free to trade off any of the ingredients for a substitute you already have. - Pour in 2 tsp of dark soy sauce, 1 tsp of sugar and 250g of cooked rice. This is a great option for any breakfast needs or any meal for that matter. Omelettes are a good source of protein, vitamins and minerals. It is also very simple to cook and filling. - Set a few slices of ham and 25g of shredded cheese on top and continue to cook until the center is set. Grilled cheese is probably on the top of every comfort food list out there. This simple recipe puts a twist on an old classic. - Mince 1 clove of garlic and cook it over a skillet until soft. These recipes will surely fill you up and get you ready to conquer whatever workload you have. The ingredients are easily accessible and the meals can fit at any time of the day, which means that your time will be well spent and well managed. You have no reason to settle for anything less anymore.